very year, the San Francisco Chronicle wine section staff and the weekly panel of tasters – mostly wine retailers and sommeliers – select our favorite 100 wines sampled during the previous 12 months. In 2004, the newspaper threw the crew a curveball by asking them to consider wines produced in Oregon, Idaho and Washington state as well. In doing so, we made an already difficult (though pleasantly so) decision more difficult, by introducing new candidates for spots on The Chronicle's "Top 100 Wines of 2004" list and reducing the opportunities for California bottlings. 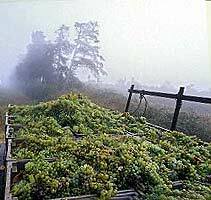 The California wine industry will overtake France as the UK’s number two wine region by 2007. That is the goal of Brand California – a new project devised by the Wine Institute of California. 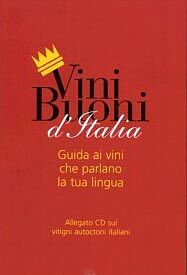 The fourth annual Guida Vini d'Italia 2005 dell'Espresso, or Espresso magazine's "Guide to Italian Wines", written by journalists Ernesto Gentili and Fabio Rizzari, in collaboration with director Enzo Vizzari, was presented to the press and public. France's wine industry is bracing for a problem of Bacchanalian proportions this year, with bountiful grape harvests expected to flood a world market being taken over by competitors from Australian, US and other "New World" wineries. They say Italians only drink their own wine. But that didn't keep the Italian Trade Commission from inviting Sula Vineyards' Rajeev Samant for a week-long Indo-Italian food, fashion and film festival at Rome. Movies and wine: conversation flows between Liam Lacey of The Globe and Mail and Jonathan Nossiter, whose "Mondovino" film-survey of global wine wars is in the Palme d'Or race at Cannes, France. Marchese Piero Antinori is the first Italian winemaker to produce wine in Chile. Antinori-Matte SA, the joint venture between Piero Antinori and Haras de Pirque in the Maipo Valley. 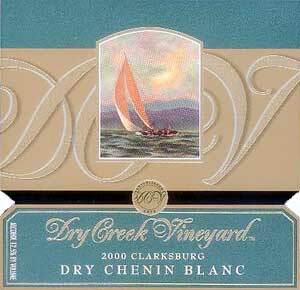 Sunday, April 8, 2004 has in fact released Albis 2001, the first vintage to be produced by the new label. Some time ago, I was reading on The San Francisco Chronicle an interesting article by Jordan Mackay – "Playing with fire / Love it or hate it, oak adds a dose of character to wine" – about how, after grapes, oak is the most important ingredient in modern wine making. If you're a US fan of imported wine -- Australian, Italian or what have you -- you might want to stock up now. This year will almost certainly bring higher prices for imports, especially from Down Under and Europe. Italian Wines Shine – Italian winemakers offer plenty of selection for Americans to try. Interesting and exhaustive report on the 2003 state of Italian wine import and distribution in the United States, as well as peek to US market tendencies for 2004. Useful data for Italian producers as well as northamerican importers and distributors of Italian wines.